Cyril Huze seems to get his head around some interesting stuff on occasion. This time he’s pointing out a cool new frame by Unknown Choppers that has some really artistic stuff going on in the design. 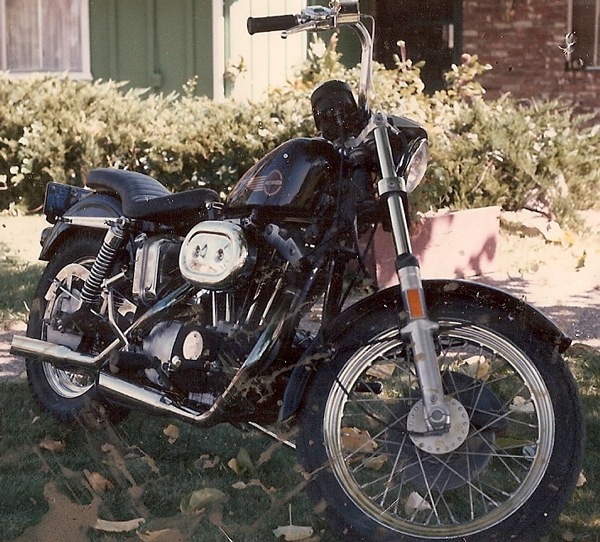 It’s great to see the Sportster come into its own, which I guess is not such a new thing. 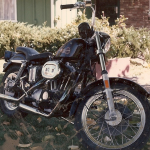 My first Harley was a ’73 Sportster that was pretty stock, with the exception of the seat. However, at 6′-5″ (and maybe 175 lbs at the time) it was really too short for me. That didn’t keep me from taking some decent trips on it. One of the first things I noticed was how much engine I could see from the rider’s position, and the raw sounds of the pistons working in the cylinders. The grips seemed like they must have been made from baked clay. 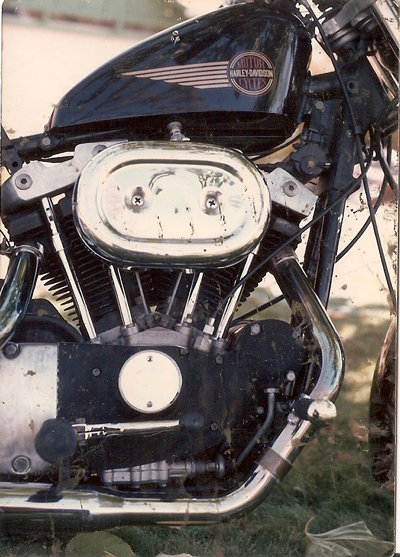 The speedometer and tach looked like the bike was serious–basic black with white lettering, simple and utilitarian. No side covers like on my Yamaha. This was a machine, and it wasn’t hiding that fact. The amount of engine and frame visible under the peanut gas tank was like legs reaching out from a skirt. And it was a short skirt–and you could see all kinds of metal suggesting the raw power of that thing. Huh. I was clearly too cool for that in my bomber style jacket, bandanna, jeans, and boots. But the minute he pulled slightly past me, I poured on and left him in my rumbling dust. All of that came back in seconds as I read the piece by Cyril and at the Unknown Choppers site, and reminded of one of my favorite things about choppers–that raw mechanical goodness they embody.